KeytoneLarone wrote: 2) I used to remember having an amazing season with a player in dynasty mode and then the next season, the progression of the player would not reflect his past seasons accomplishments. (ie MVP season with a guy and his OVR doesnt go up at all the next season. Just wondering if this has been updated. I haven't played thru a season yet. That's just the way player progression works in the game. It's governed by a hidden potential attribute, not user-influenced performance. Thank you for the roster, great job! 1. I play season mode and I don't see Hornets in the game how do I enable Hornets? 2. Is it possible to also update the free agent list as of Nov. 27th? I still see AI and some other weird names under FA. I don't want computer to sign those "unreal" FA to ruin the game. 1. There's a left and right arrow key in the team names for activation but in the game, it is in the Atlantic division as a default. 2, Hanamichi Sakuragi (Characters from Slam Dunk Anime), Uncle Drew and Wes (from Pepsi Max commercial), Yamada (Girl character), and Gigantes Dantes (Giant player w/ height of 11 foot 9 inches) are the only unreal players in FA, the rest are real basketball players. There's a lot of players in the FA that are updated but not all specially the rookies. I will try to do that if I have time. The easiest way to remove players from the game who are retired or you otherwise don't want there for the sake of realism is to place them in the Retired Pool. To ModManZZZ: Thank you for the quick response. I thought that's the way to add the team but I tried last night it didn't allow me to add the team under Atlantic Division. I will try again tonight. Also I notice there's no roster for the Hornets? After loading your saved game, rosters for the rest of the teams are accurate but I just don't see the roster for Hornets. Am I missing something here? To Andrew: Thank you for the tip. But could you tell me how to do that? Sorry this might be a stupid question..
Jack, the Hornets roster should be there. Check the players.dbf and teams.dbf again. You should choose one between "with TUP Official Update" and "without TUP Official Update". ModManZZZ, I got it to work now. Thanks! Now I just need to google how to put those unwanted FA into Retired Pool. I also found the same way online last night and after some trial and error I was able to move Allen Iverson from FA to retired pool. I will do more modification tonight after work. Great help from both you and ModManZZZ, really appreciate it! 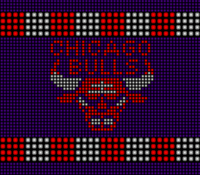 ModManZZZ, I'm working on new stadium updates for 2014-15 season. Murat, That was WOW, I'm so excited about it. I will definitely recommend it as a major add-on file. anyone else here play franchise?....I'm wondering if you can get past the training camp? Modman is currently looking to troubleshoot this issue and I'm interested to see if anyone else can get past this screen, having all the updates installed. Say, is there any way that I could get just the necessary files for the courts, jerseys, players and coaches with the way Live '04 looks by default? When I loaded it up and used the Press Box camera, even with max zoom, it still seemed too distant. KennyReno, You can get the default files in the installer(s). The 16:9 screen is not compatible with live 04, it even affect the camera angles specially the net-book screen. Last edited by ModManZZZ on Fri Dec 26, 2014 1:15 am, edited 1 time in total. Great work, once again. Merry Christmas! Players can effectively be removed from the roster by changing their TEAM value to 32 in players.dbf. Players can be excluded from fantasy drafts by setting their ISHISTORIC value to True. How do you change that stuff? A certain mod tool? DB Commander. That allows you to open the database files in the save folders, and make changes accordingly. KeytoneLarone, ... and free agent's TEAM value is 29, just changed it. The reason I include retired and fictional characters is because my friends added them in their custom franchise team(s).